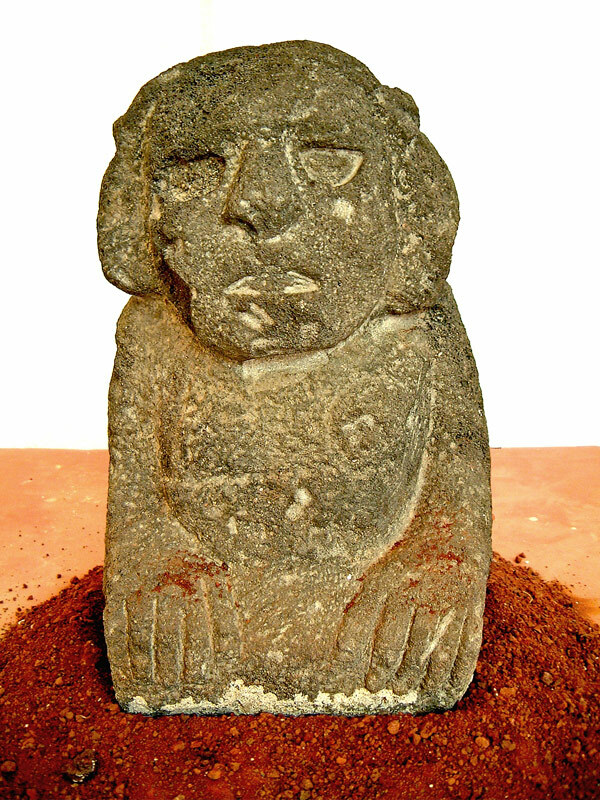 Found in the small site museum at Calixtlahuaca, this statue was described as being of a woman or goddess. At first glance, it looks remarkably feline or canine, but looking down the hands are clearly human. The kneeling position is familiar to the typical representation of Cihuacoatl, of which a much grander statue was also found at Calixtlahuaca, which is now housed in the Museo Nacional de Antropologia.